You can now book online for Touch2Heal at our Evegate clinic in Ashford by clicking the button below. Find out more about Touch2Heal, our people and treatments. 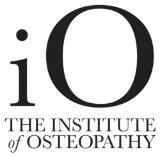 Learn about osteopathy and how our therapy can help you. Find out about acupuncture and how it can help reduce pain. We treat all age groups from babies to pensioners, male and female. Understand how we go about diagnosing and treating your condition. Discover what our clients have to say about our treatment. We service the Kent area and have a clinic in Evegate near Ashford. Haven’t found what you looking for. Then check out our FAQs. After your initial visit, osteopathy and acupuncture treatments sessions last 30 minutes. We will advise on the number of sessions we think you will need up front. Quite often we can overcome your problem in just 1 or 2 sessions depending on the severity of your complaint.